Welcome to the Perfect Game Series Classic! This will be the 4th annual Freshman (2021 Grad) PG Series Classic, an individual invitation only tournament designed to bring together top-level talent from across the US, as well as representatives from international countries. Teams will be created and divided by PG staff based on positional needs and also where the players are from. Each team will participate in pool play throughout the week, as well as a playoff bracket to determine the Freshman PG Series Classic Champion. Below is a brief descriptions of what the event entails along with what the players will be receiving. Along with playing in games throughout the week, each player in attendance will partake in our "PG Series Classic Challenge event" . Athletes will be put through a number or skill tests which include throwing velocities, hitting metrics, speed, agility, and reaction drills. All of these results will be posted on each individual's Perfect Game profile. For more information, please visit the "Skill Testing" tab. This is not a showcase event. Please click on the "Itinerary" tab for a more detailed look at the schedule throughout the week. Every year we make changes and additions to the PG Series Classics in order to improve and make it a more enjoyable experience for the players and families. Please click through the links on this event page to discover all of the new activities and added benefits of attending the PG Series Classic. The Perfect Game Series Challenge events are designed to measure, record, and track a baseball player's most important attributes. Using strictly objective testing, The Challenge will be a valuable tool in determining an athlete’s raw talent production and potential projection on the field. In today's age of advanced technology, MLB teams and college coaches are relying more and more on measurable data to breakdown a player - whether it's for recruiting a high school prospect, selecting a draft pick, or simply tracking a big leaguer's every day production. 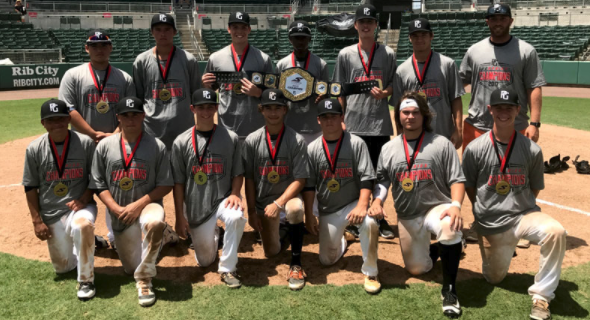 Perfect Game's mission with The Challenge is to be a frontrunner in the world of collecting useable baseball data that will ultimately help players understand their strengths and weaknesses in order to improve on the field. At the PG Series Challenge, every player will participate in the following tests. The tests performed at the Challenge will go into making each player’s PGAME Score. The Perfect Game Athletic Metric Evaluation (PGAME) is our proprietary scoring metric used to determine overall and sport specific athletic ability. The OptoJump software is a groundbreaking laser system that is able to record and analyze thousands of data points on how athletes move and react. Used by the Tampa Bay Rays, the PG Series is incorporating the OptoJump system as a main component of the PG Challenge. Using this software, we are able to identify important aspects of each athlete's speed, agility, power. and reaction. All of the measurements collected will go into making an athletic testing score, which can be compared to other participants and used to help improve a person's athletic weaknesses.